Oktoberfest is globally known for beer, music and food. This cool vector paqck comes with plenty of graphics for your promotions. 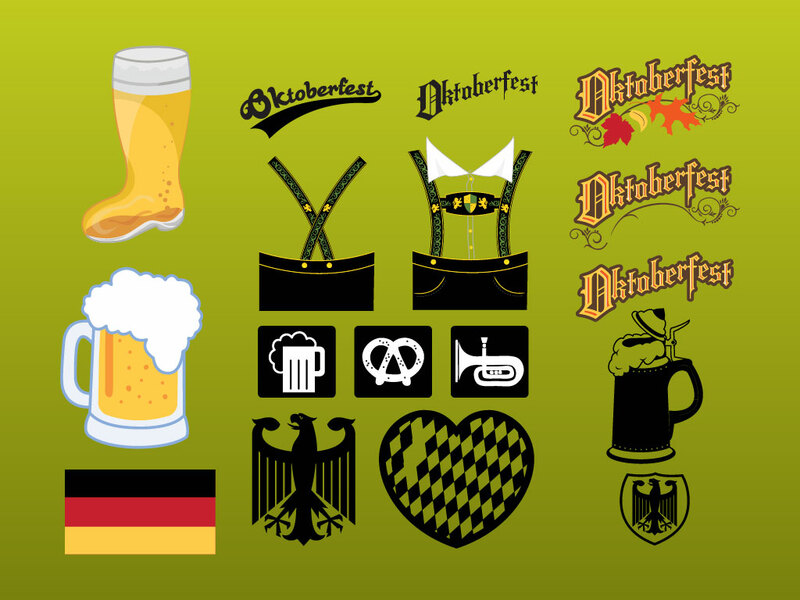 Includes lederhosen, logos, a mug of beer, German flag, beer stein, love heart and many other German themed graphics. Tags: Beer, Drink, Festivals, Germany, Lederhosen, Oktoberfest, Pretzel, Stein.